How much can you save on a short sale in Highlands, NJ? The short sale process in Highlands, NJ, for a buyer can be very profitable if the situation includes a motivated seller and a cooperative lender. Find the best short sale homes and bank-approved listings available in Highlands, NJ, at Foreclosure.com today for as much as 75% off market value. 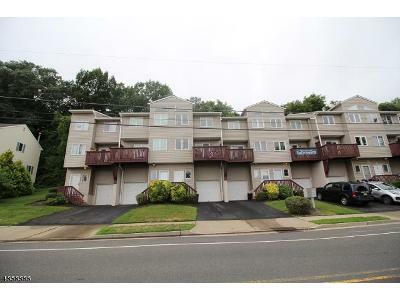 There are currently 1 short sale homes in Highlands, NJ, available for potential sale right now. Get the most current list of short sale listings in Highlands, NJ — and the information and tools to buy them fast — at Foreclosure.com. Highlands is a borough in Monmouth County, New Jersey, United States. As of the 2010 United States Census, the borough's population was 5,005, reflecting a decline of 92 (-1.8%) from the 5,097 counted in the 2000 Census, which had in turn increased by 248 (+5.1%) from the 4,849 counted in the 1990 Census. It is the home town of film maker, director, and comic book writer Kevin Smith. The eastern part of the town is built on a high bluff that overlooks Sandy Hook and the Atlantic Ocean, from which the borough derives its name. Atop this bluff are the Navesink Twin Lights. Highlands was incorporated as a borough by an act of the New Jersey Legislature on March 22, 1900, from portions of Middletown Township. Additional portions of Middletown Township were annexed in 1914. Highlands is part of the Bayshore Regional Strategic Plan, an effort by nine municipalities in northern Monmouth County to reinvigorate the area's economy by emphasizing the traditional downtowns, residential neighborhoods, maritime history, and the natural environment of the Raritan Bayshore coastline. On October 29, 2012, Hurricane Sandy struck the eastern seaboard of the United States, making landfall just north of Atlantic City. The Borough was heavily damaged when a storm surge of nearly 10 feet (3.0 m) swept in from the bay beginning as early as October 28. Most homes and businesses, including the Bahrs Landing and Lusty Lobster fishery were either damaged or totally destroyed. The borough lost several police cars and their fire station was destroyed. Giovanni da Verrazzano explored the area known today as Highlands in 1525. There are currently 1 red-hot tax lien listings in Highlands, NJ.